Traction » Support this work! 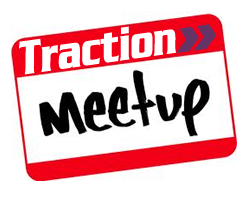 Thank you so VERY much for wanting to support Traction! Donations of any size and shape are welcome, but here’s the thing: we recently dropped our pricey space, financial weightiness, and tax-status to shift models and become “just a group of people.” That’s right, we’re no longer a nonprofit, so that means no tax-deductible donations. That being said, if we’re at an event, and you want to drop a little more in the hat to help pay for our (minimal, but present!) operating costs as a group (website maintenance, meetup refreshments, yada yada), please do. And if you want to do something more then . . .
More Chances to Gain Traction! Ever heard the saying, “The revolution will not be televised?” Well, there’s a group that believes “The revolution will not be funded” (i.e., it won’t be connected to nonprofit tax structures). In essence, we’re saying that nonprofits have huge benefits and do amazing work, but trying to shoe-horn social justice work into nonprofits doesn’t always work for the best interest of the folks involved. We’re not here to step on a soapbox or chastise—nonprofits are a great model for lots of progressive good. But they can also get bogged down in writing grants and reporting to the IRS, and that’s not what Traction’s interested in right now.